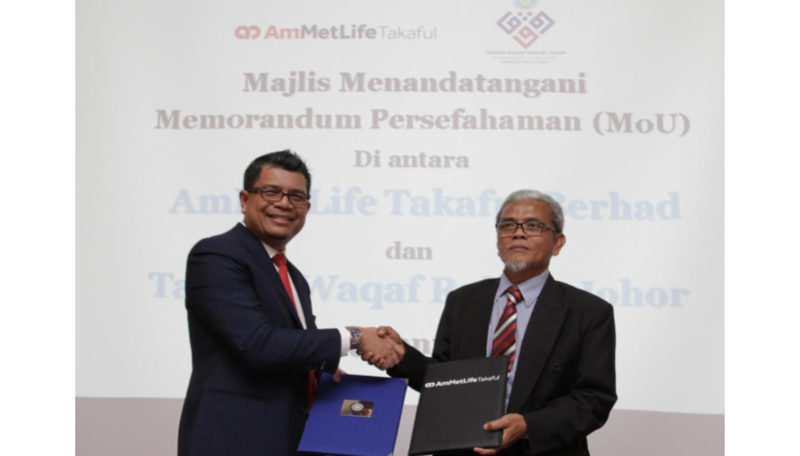 Kuala Lumpur Jan 25 – AmMetLife Takaful Berhad (“AmMetLife Takaful”) and Tabung Waqaf Rakyat Johor (TWRJ), today (23 January 2019) signed a Memorandum of Understanding (MoU) to establish a mutual understanding on waqaf arrangement between both parties. Through this collaboration, death claims that arise from waqaf benefit offered by AmMetLife Takaful will be channelled to TWRJ for waqaf activities, on behalf of the participant. 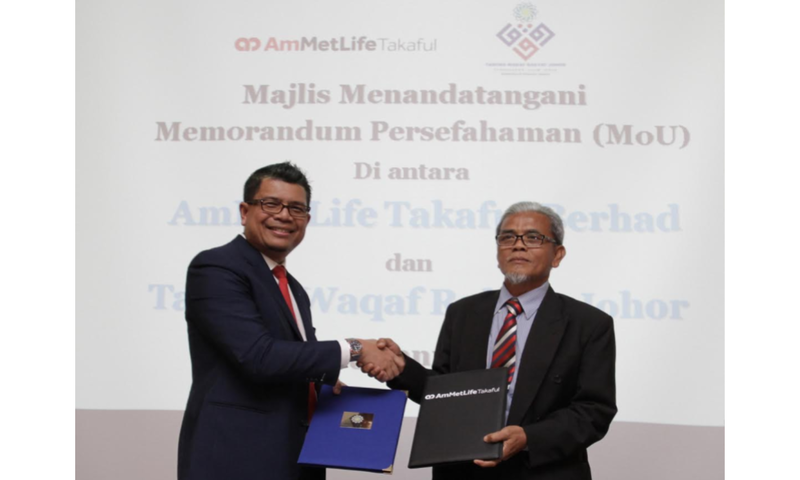 Both AmMetLife Takaful and TWRJ are committed to raise public awareness on waqaf and takaful protection through community engagement initiatives, including awareness campaign and charitable activities. The MoU was signed by Noor Azam Bin Mohd Yusof, Chief Executive Officer, AmMetLife Takaful Berhad and Tuan Haji Abdul Rashid bin A. Rahman, General Manager, Perbadanan Islam Johor. Also present at the signing ceremony were the top management of TWRJ and AmMetLife Takaful. 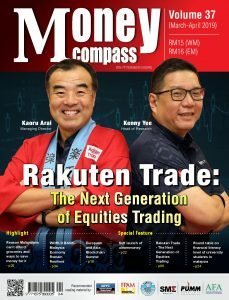 The ceremony was held at Bangunan AmBank Group in Jalan Raja Chulan, Kuala Lumpur. “We are pleased to partner Tabung Waqaf Rakyat Johor as they are the dedicated arm of state-run Perbadanan Islam Johor and have conducted various socio-economic initiatives to benefit the Muslim community in Johor. We believe this collaboration will give our plan participants the peace of mind knowing that their waqaf benefit will be allotted towards building new academic and medical facilities in Johor,” said Encik Noor Azam. AmMetLife Takaful distributes shariah-compliant plans that help protect plan participants and their loved ones from unfortunate events as well prepare for their religious obligation. Currently AmMetLife Takaful has two plans that offer waqaf benefit to the participants. The first plan, Protect-i Budi provides basic coverage against death and total permanent disability, with option of a waqaf benefit rider that provides lump sum payment upon unfortunate events to selected waqaf organisations for waqaf purposes. Another product, ProtectSecure-i Murni which is distributed through AmBank branches, also has waqaf benefit built into the plan. “Both these plans help our participants and their loved ones lead a meaningful and protected life. The intention of this waqaf benefit is to help the less fortunate and the community at large not to mention benefiting our participants in the hereafter,” added Encik Noor Azam. 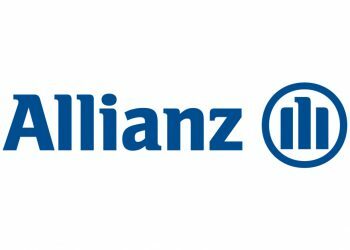 According to Tuan Haji Abdul Rashid bin A. Rahman, “Today is a significant event for both parties, Perbadanan Islam Johor and AmMetLife Takaful. 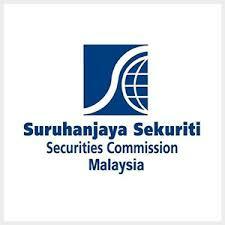 It is a milestone for a waqaf body and a Takaful company to be involved in such an engagement. Government’s capacity to be involved in such projects are limited, therefore it is time for waqaf bodies to find alternative ways to benefit the ummah, especially in Johor. Waqaf is a key instrument to develop healthcare, education and economy under Tabung Waqaf Rakyat Johor. AmMetLife Takaful offers a comprehensive range of takaful solutions distributed by its authorised takaful agents nationwide. 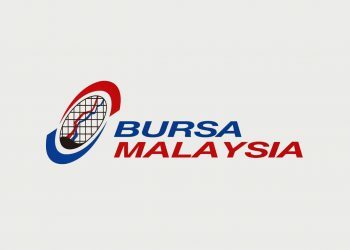 With our passion to provide excellent services, together with a deep and respectful knowledge of Shariah principles and values, we aim to be a customer centric and modern takaful operator in Malaysia.